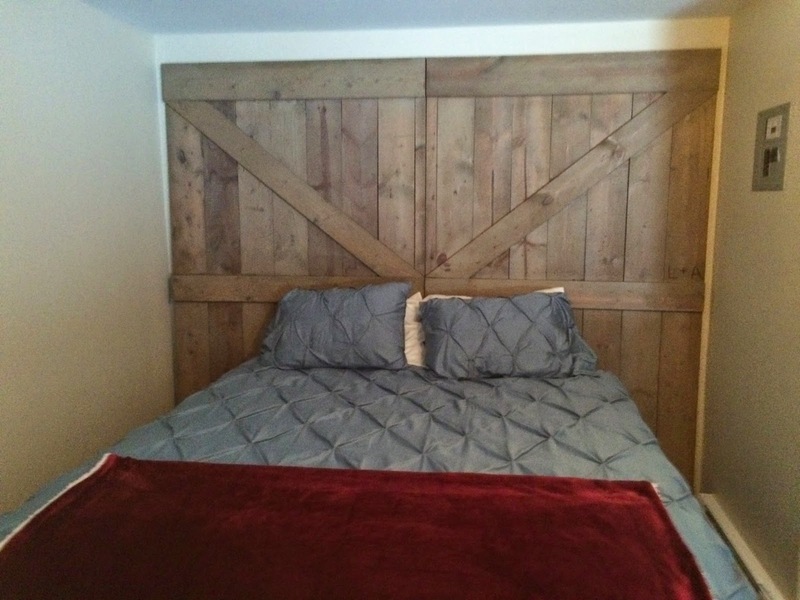 The bunk house at the cabin was in desperate need for a strong wall feature. 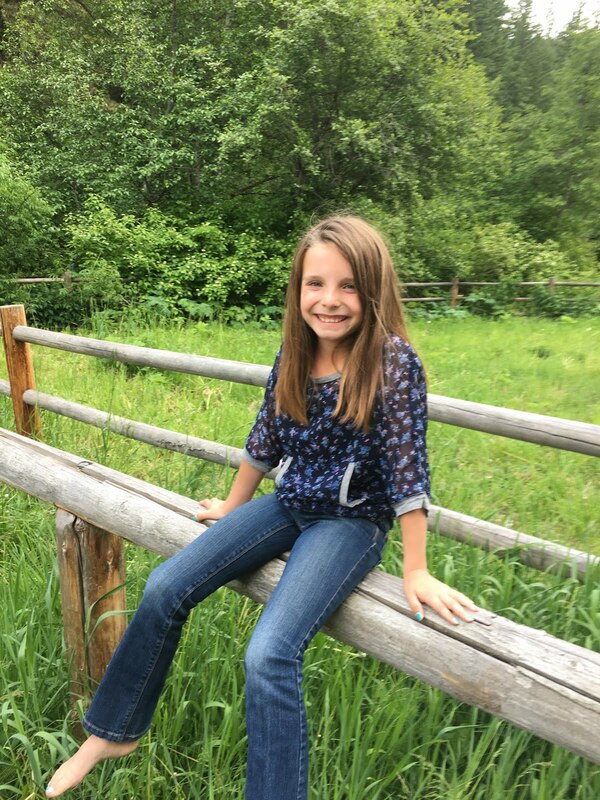 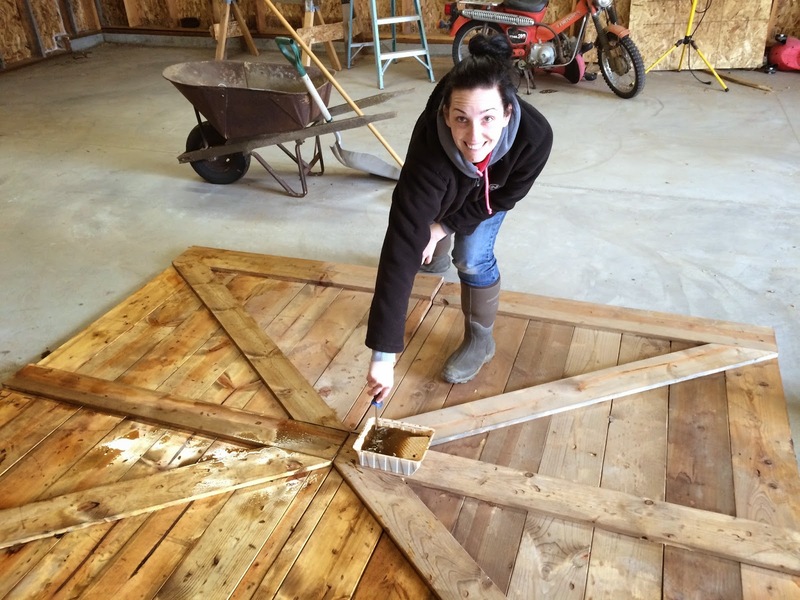 Ashley stepped in and with some help from her dad was able to create an amazing barn door. 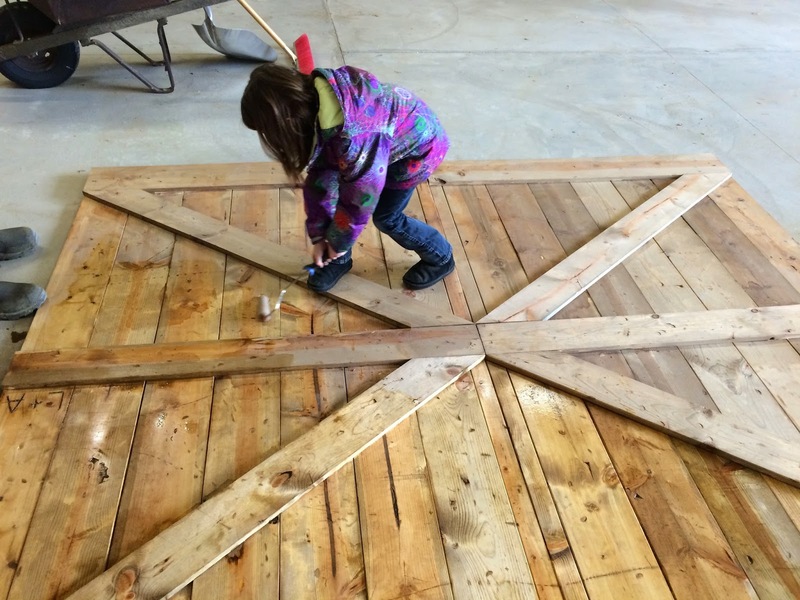 Even the kids got involved in the process as they "distressed" the doors and helped apply some of the various stains. It is now up and looks great!